Greater Milwaukee Men: Heview: CW/DC Arrow Show Star Amell Is Surprisingly, Sinceriously, "Good"
Heview: CW/DC Arrow Show Star Amell Is Surprisingly, Sinceriously, "Good"
Unless you are a huge DC Comics fanboy, maybe even if you are, the first word to come to mind about a show on The CW Network probably would not be "good", nor would your thoughts on the capabilities of its main actor. But when it comes to the show Arrow and its namesake character and actor Stephen Amell, the word "good" goes beyond the quality of the show to what he does off-screen. I had no thoughts of ever watching the show, even with the first 2 seasons "free" on streaming services, until a friend told me it was good. Even then it took me a while to test the waters until one day my wife and I were looking for a new show to watch together. I expected the standard pretty-bad-boy fare like Vampire Diaries and other CW shows, but was pleasantly surprised that the show far surpassed what I though was a kiss-of-death combination of subject matter and network in a lesser know DC hero and The CW, and especially that the quality of work included Amell in the role of main character "Arrow" (Green Arrow of DC comics). But I have been even more impressed with Amell the man after I started following social media about him and found out he is as big a hero off-screen as he is on. 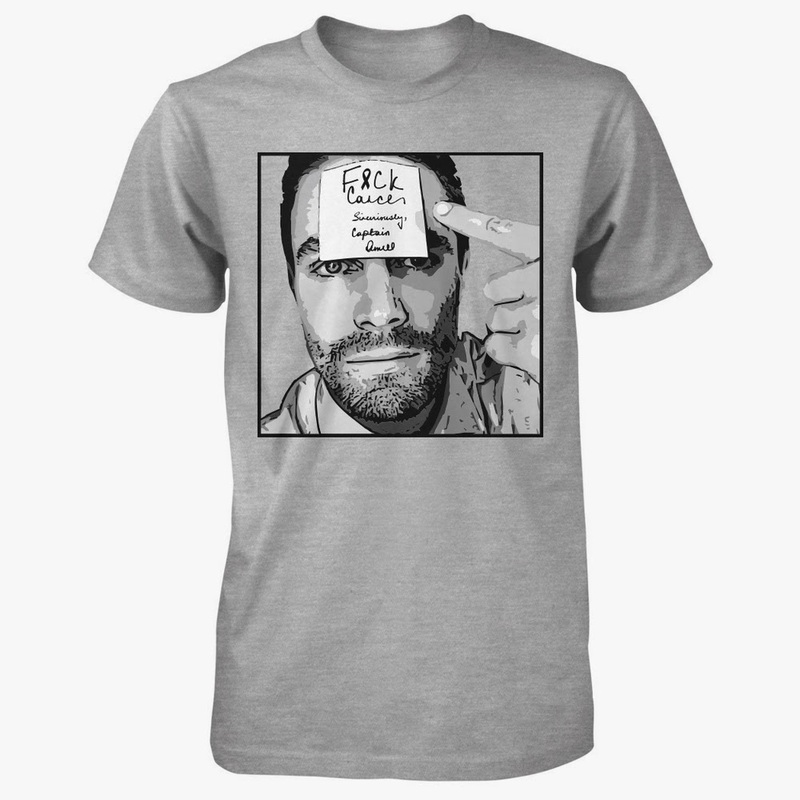 Today, Amell launched his second Represent awareness/fundraising campaign for two great causes right up our alley: Stand for the Silent, an anti-bullying campaign, and Paws and Stripes, a veterans' therapy dog organization with his Sinceriously apparel. Back to the show for a minute, as I said I was pleasantly surprised. Though in essence the character of Green Arrow and his story are a rehash of DC's own Batman - rich boy (in this case Oliver Queen) without super powers gains talents and uses gadgets to fight crime as a masked avenger - and its hard not to continuously compare them, the show Arrow goes well beyond its roots. Maybe it's because Arrow is a lesser character than the big deals like Batman and Superman and thus his story is less known giving the creators more room to bend the story to work. Maybe it's because I am not a DC fanboy and don't know the history of the main- and side-characters since as I look them up I find that most are far from who they were in the comics even with retconning and all and am open to what the shows writers and producers make them. In any case, this show is, simply, good. The use of flashbacks within each show to how Queen became Arrow which mirror the current goings on are well done and his constant struggle with who and what he has become is superior to most secret-identity fare on even the best works. But this is about more than the show, it is about lead actor Stephen Amell and how he is as much of a hero in real life as the man he plays. OK so he's from Canada and being nice is kind of expected, and that's kind of close to being a Wisconsinite, but Amell goes above and beyond. He vlogs himself frequently as posted on his Facebook and Twitter pages and he seems very genuine in those, but his best posts are those covering his charitable activities. A while back he broke records with his F&CK Cancer design at Represent, which enables campaigns to generate funds for free – no hassle, no risk via the selling of limited edition designs, selling over 60,000 items when the closest other I saw was around 20k. Today he launched his new design in a campaign for which he will give the funds to two organizations, the choosing of which he sourced from fans. 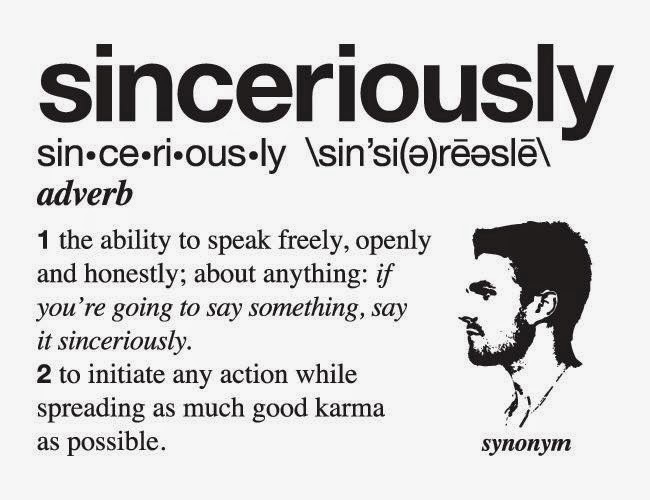 The design (shown above) is of the word sinceriously, a word accidentally made up by Amell in a gaffe during the interview and since has become a meme and possibly even a word in the dictionary if my fellow nerds can help him campaign for it. His second definition of the word is pure GMM: to initiate an action while spreading as much good karma as possible. The Represent campaign itself is itself an example of the second definition and you can make it manifest by heading over and order a Sinceriously shirt with choices including Ts, Jerseys, and sweatshirts of the hoodie or non- kind. Amell is a true modern gentleman and as a Canadian he's close enough so I'll include him as an honorary Greater Milwaukee Man. Hail Mr. Amell, well-met. UPDATE: The campaign has been relaunched for a 48 hour time window ending 2/27, go here to get your shirt.